Google just became a wireless carrier through Project Fi. Insane, right? The rumors that have spread throughout the last couple of months were basically all correct, so we kind of know what we are getting here. Still, there is a lot to process. We figured, now would be a great time to help you figure out what Project Fi is, how you can get signed up, which devices work, etc. This is Google’s take on how your wireless service should work. They created new technology that puts you on the best available network automatically, whether that be WiFi or LTE from Sprint or T-Mobile. The service is able to automatically switch you between cellular and WiFi networks depending on which it deems is the faster connection. Project Fi also attaches your Fi phone number to your Gmail account, so that you can make and receive calls or text from almost anywhere, including computers and tablets. 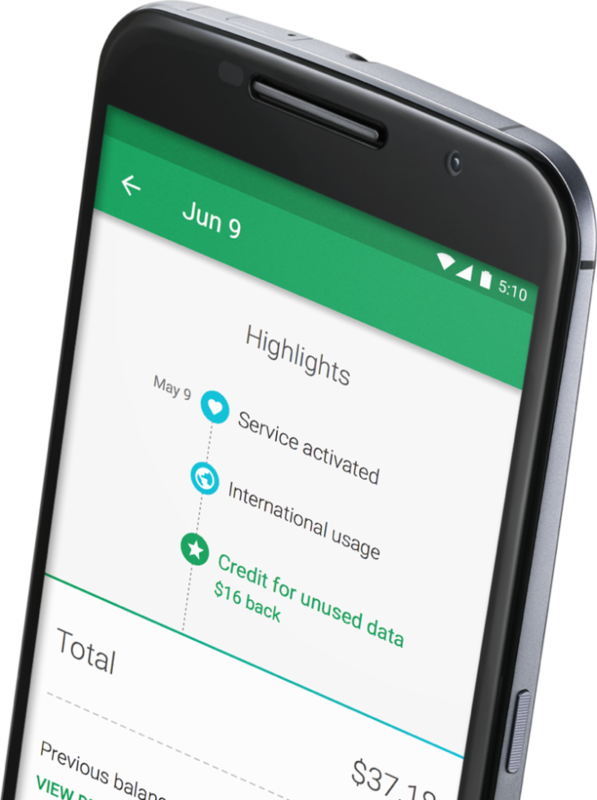 Google is charging just $20 per month for the “Fi Basics” which includes unlimited domestic talk, text, international text, low-cost international calls, WiFi tethering, and coverage in 120+ countries. From there, you add on data at $10 per 1GB. So if you want 2GB of data per month, you will owe $20 for the data plus another $20 for the Fi Basics. This Fi service differentiates itself from typical carriers because of the fact that Google only charges you for the data you use. So if you buy 2GB worth of data at $20, but only use 1.4GB, they will refund you $6 for the 600MB of data you didn’t use for use on your next month’s bill. If you buy 2GB of data and go over, Google only charges you at the $10 per 1GB rate. Even if you only go over and use 350MB, they calculate that at the same rate, so you would be charged an extra $3.50. There is no annual contract with Project Fi. There are no termination fees either. To check to see if you will be covered by Project Fi, you can click through to Google’s Project FI coverage map. From I can gather, as long as you are covered by Sprint and T-Mobile LTE, you should be eligible for Project Fi. Project Fi is currently only available in the US. Google has partnered with Sprint and T-Mobile for Project Fi. Google’s Project Fi allows you to connect to more than a million free, WiFi hotspots that they have verified as “fast and reliable.” When connected, Google sends your data over a Virtual Private Network (VPN), so that no one else on the network knows what you are up to. Connecting to these networks does not require any action from you, meaning you connect automatically without having to punch in a password or watch an advertisement. As for calls over WiFi, they work just like your normal calls over cellular. Also, if you start a call over WiFi, but switch to a cellular network that is determined to be a faster connection, your call continues without dropping. That’s part of the beauty of Project Fi. Project Fi has you covered when traveling internationally with support in over 120 countries. The full list of countries can be found here. Data usage runs the same $10 per 1GB, but the speeds are reduced to 256kbps (3G). If you want to text while traveling, texts are free as a part of the Fi Basics plan. If you want to call, you are charged 20 cents per minute when connected via cellular, and the rate varies on WiFi, though you are only charged for outbound calls on WiFi. As of right now, the Nexus 6 is the only phone that works with Project Fi. If you already own the Nexus 6, your phone will work with Project Fi, you don’t need to go buy a special version. If you opt-in, Project Fi will attach your phone number to your attached Gmail account, which will then use Hangouts to let you call and text from almost anywhere. This includes calling and texting from computers and tablets. 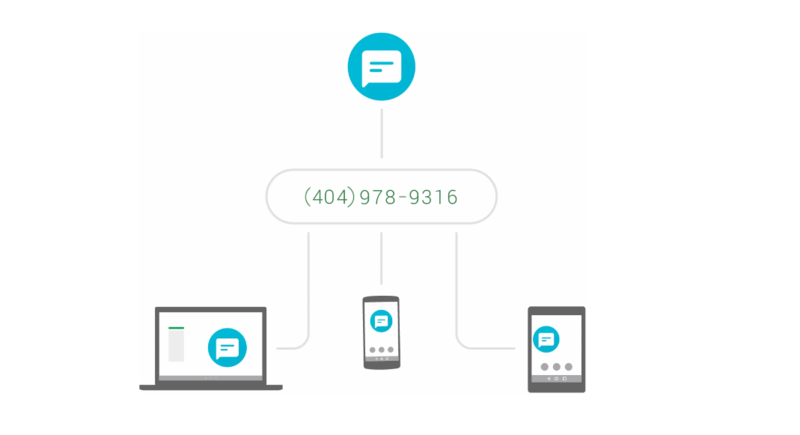 Also, if you receive a call to your Fi number, you can have it ring through your Hangouts accounts on other devices. Cool, right? Google created a special SIM card with help from their partners that allows you to access multiple networks. At this time, Project Fi is invite only. You can request an invite here. According to Google, if you requested an invite, you will hear from them in 30 days or less. They are prioritizing invitations for this Early Access Program by looking at network access for your zip code, whether Project Fi is ready for service in your area, and when your invitation request was submitted. In order to be eligible for Project Fi, you need to live in a coverage area, have a Gmail account, and own the Nexus 6. Well, you don’t need to own the Nexus 6 to technically be eligible, but you will have to own one in order to use the service. Switching to Fi: Phone numbers, termination fees, etc. If you want to bring your phone number with you to Project Fi, you can do that. Just keep in mind that if you are leaving your current carrier, there may be fees associated with the move. Google is not going to pay off your early termination fees. 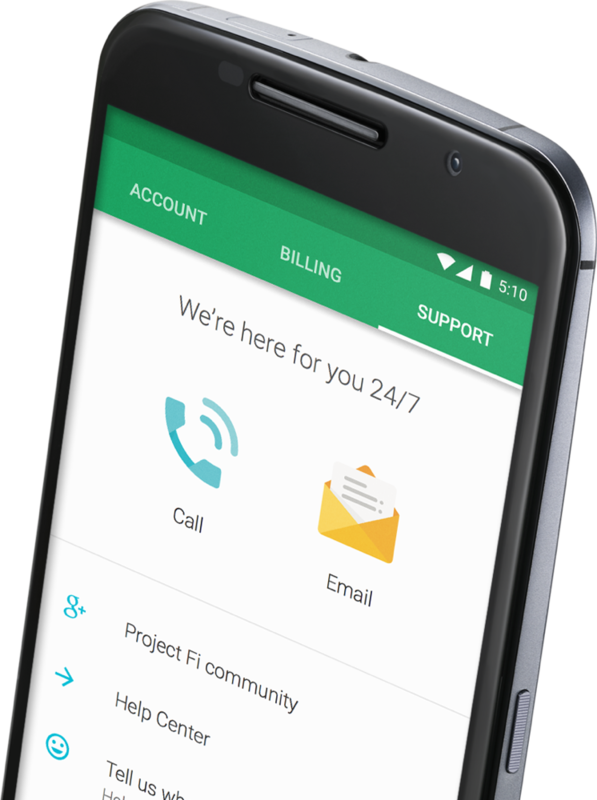 Project Fi is accompanied by an account management app that allows you to change your plan, pay your bill, and check data usage. It also shows you bills, with “simple” monthly recaps of your data usage for the month. The app even allows you to get 24-7 support should you run into issues. To find out even more details about Project Fi, hit up the official FAQ.